Special thanks to everyone who has visited and especially The Comics Curmudgeon. I couldn’t have done it without you! 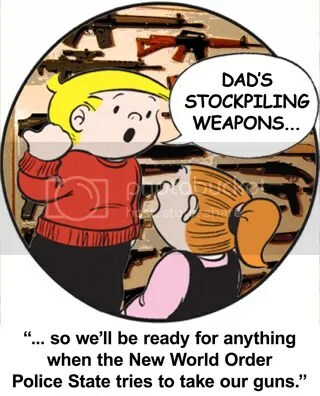 CLICK HERE to check out the Master Archive for any of the New World Order Family Circus cartoons you might have missed! It’s one of the reasons I own a gun – because I CAN currently. This entry was posted on June 15, 2009 at 8:14 am and filed under 9-11 Truth,Alex Jones,Barack Obama,black helicopters,chemtrails,comedy,comics,conspiracy theory,culture,entertainment,humor,illuminati,microchip agenda,MK Ultra,new world order,New World Order Family Circus,politics,predictive programming,propaganda,rapture. You can follow any responses to this entry through the RSS feed.